Un fel de Deathgasm dar mai scurt. mai intens. mai gory. mai funny? Regizat de Chris McInroy si selectionat la Fantasia, Fantastic Fest, FrightFest, MotelX, etc. A metalhead is gifted a satanic guitar from his father. 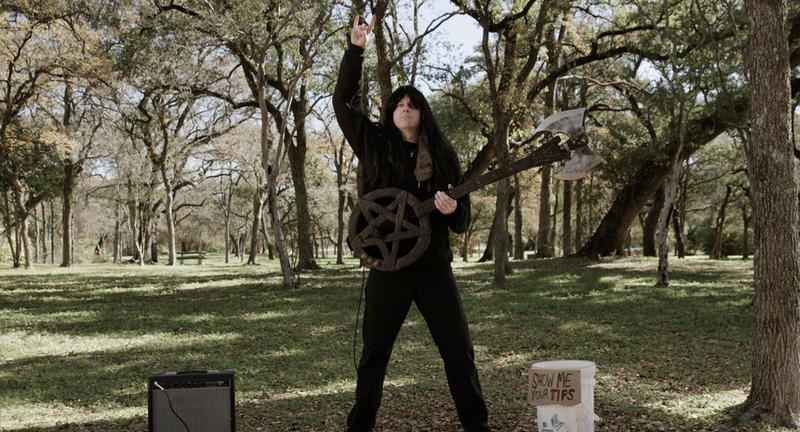 There are a few rules to be obeyed in order to utilize its power, but the metalhead just wants to thresh some sweet chords.